I’ve always understood the term “projecting” but it has been fascinating to see the press and media trying to make sense of the Presidents sometimes incoherent and unrelated public tweets and statements. The best explanation is he is “Projecting”. That is he’s told something, or concerned about something and immediately make some form of statement about it. In many cases these things become apparent days, weeks or months later. There are write-ups on this here, here, and here. I got a surprise on July 30th, I had a heart attack. 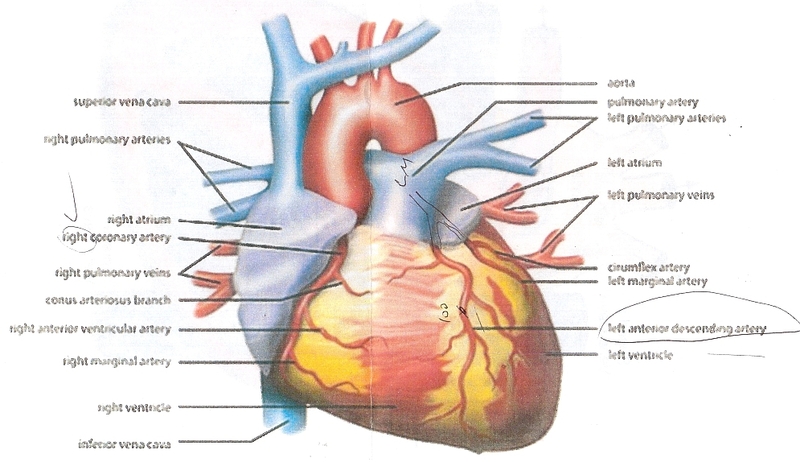 My left anterior descending artery was completely blocked. I’ll deal with what happened and how and some of the sports related stuff over on my triman livejournal blog. I thought it was worth stating this here, because I’ve been writing and even boasting somewhat about my lack of healthcare insurance, because I’ve been otherwise super fit and healthy. Turns out it would be fair to say, just like the President, to some extent I’ve been “projecting“. See my posts here, here and here. And this with some irony now I’m unemployed and have no health insurance. It’s clear that many Americans view “Big government” as a bad thing, it seems though that they are OK with lots of branches of small government, that is ineffective, costly and open to misuse, and often technology challenged. Given the size of the USA, any government is going to be a big government. With over nearly 320-million people, and almost the largest country in geography in the world, most people clearly are clueless about the scale and the challenges of delivering services in what was the worlds most advanced country. Listen to this 10-second clip from NPR’s Morning Edition today, a piece by Frank Morris of KCUR on the FBI and Apple privacy debate. Seems to be a pretty widely held view. I heard it on the way back from going to trade-in my state of Texas Drivers License for a state of Colorado Drivers License. I had to drive some 12-miles to Longmont CO, wait in line outside for 30-mins until it opened at 8a.m. ; go in and explain to a clerk/assistant/helper what I was there to do, exchange my drivers license and trade-in my state of Texas car plates and register my vehicle with the State of Colorado. I was helpfully told that I was in the wrong office to register my vehicle, and asked for the relevant ID etc. in order to get my license. I was given a number of told to wait. When I was called, I spoke with a clerk who was helpful and polite, I glanced over at the desks of the other clerks, you could see from the windows on the PC terminals that they were using dated text mode applications. Credit card processing had to be done by hand, typing numbers in. Questions had to be spoken in English and answered in English, there were no touchpad or tablet interactions. I had to say, outloud, with little privacy my social security number, and after checking my eye sight, and paying I was told to go and wait again. After a short wait, I was shown a printed version of the questions I was asked, the information I had given, and ask to sign “wholly” within a box at the bottom. If the signature wasn’t entirely in the box it would “invalidate” the application as it couldn’t be scanned in. That done, I went through the take a picture exercise, was given my documents back and told the new license would show up in the mail in 7-10 days. I left some 70-minutes after arriving. Not bad I guess. Compare that though to many other Western countries, and many emerging economies, and you get a different picture. Change address in the UK? It’s done online and free. Pictures, signatures and details are held securely centrally. In the clip above, it’s claimed that the government can’t run USPS, healthcare or anything else. Yet, despite being severely constrained in the services it offers, the US Postal Service is actually pretty dam good, reasonably efficient and pretty cheap. Anyone who thinks that private companies, like FedEx, or UPS and some magic form of new state regulated and/or run service would do better simply isn’t thinking about or is clueless when it comes to understand that scale problem, and the investment needed. The US Government doesn’t run Healthcare, it never has. It it funds the medicare and medicaid programs. Yes, the US dept. of Veterans Affairs does run medical care and benefits for veterans, given the US has been in a constant state of war of one form or another since 1940, and given the physically size and scale, it is again a pretty decent operation. A good friend of mine, Lee, actually is looking forward to the veterans benefits and healthcare for the rest of his life. Yes, the VA has its’ problems. But still, most Americans seem to think it’s better to deal with things “locally” even if that does mean inefficiency, a mistake prone system, lack of privacy, time wasting, out of date technology, duplication, cost and more. Meanwhile, later this week I’ll be heading to Boulder County to office to register my car; right before I start looking for State of Colorado healthcare market place, trying to resolve the naming error on my City waste management account; filling my taxes with the US Revenue Services and the property taxes with a county in Texas…. and yeah, most Americans have the least amount of vacation time, work the longest hours, and get fewest paid benefits, and things like paid maternity leave. So, no problem waiting online then? Rarely little more than a bunch of privileged white guys hectoring the President of Planned Parenthood. I watched some of it live, and read a number of reports afterwards, it seems to have achieved nothing, and garnered no new information. This weeks Congressional hearing on Planned Parenthood was pretty sloppy. Rarely little more than a bunch of privileged old white guys hectoring the President of Planned Parenthood. I watched some of it live, and read a number of reports afterwards, it seems to have achieved nothing, and garnered no new information. I just saw this clip from Late Night with Seth Myers has the best summary. For-profit hospitals appear to be better players in this price-gouging game,” says Bai, an assistant professor of accounting at Washington & Lee University. “They represent only 30 percent of hospitals in the U.S., but account for 98 percent of the 50 hospitals with highest markups. Of the many things wrong with the US Medical system, and there are a great many, not least it is the most expensive in the world, are the prices of ancillary parts of the healthcare system. I’ve just been catching up on my bills, one of which was a visit to a chiropracter. A single visit, with a company provided insurance, my out of pocket cost was $485. Yes, it’s complicated, it involves deductibles, co-pays etc. and of course since it’s my only healthcare visit so far this year, I got essentially nothing from insurance. You then start to question what you got for $485. 10-mins with the specialist; 15-mins electrical stimulation; and about the same ultrasound. Sigh. I have a mild form of psoriasis which randomly appears(stress?) on my right elbow, left thumb and a couple of other areas. It’s really no big deal, I use maybe two or three small tubes of Fluocinonide per year; in a couple of days and it’s gone. I went to get a replacement tube of cream from CVS recently. It’s a prescription cream, which comes with its own problems. The pharmacist gave me the cream and announced they’d changed providers and the price was now $8. No big deal to me, I can afford it. I paid and left. Out in the car, I stopped and thought about it. I’d just been stung with 62.5% price hike. Seriously same active ingredient, same size tube; different generic brand. And there you have it, you have no control, no choice, no free market, it’s effectively too difficult to shop around because it’s prescription only. Yet, strangely you can buy it online for pets, it’s about the same price, meaning again, my drug insurance is effectively worthless. The problem in America is that there is no effective control for the price of drugs. This report by Johns Hopkins Bloomberg School of Public Health report, highlights how this is commonly exploited, let alone specific deliberate abuse. Of the 50 hospitals with the highest price markups, 49 are for-profit hospitals and 46 are owned by for-profit health systems. One for-profit health system, Community Health Systems Inc., operates 25 of the 50 hospitals. Hospital Corp. of America operates more than one-quarter of them. While they are located in many states, 20 of the hospitals are in Florida. We all pay the price for this abuse. It’s nonsense to think that a single payer, public healthcare system would cost anymore. If we had it, there would be drug price control. Those against price control often argue that would stifle innovation and invention of new drugs, they role out the enormous cost of bringing out new drugs and using the profit of successful drugs to underwrite research, and failures during the process. This is simply invalid. Anyone who thinks that humans won’t become involved because they are prepared to standby and watch their fellow citizens die, is just plain wrong. While medical innovations have progressed dramatically over the previous century, the last 20 years specifically have resulted in monumental advancements that substantially increased medical care standards and improved overall global health, but most of those advances didn’t actually come from the actual drugs(*), but from a better understand about the human body, how diseases spread and much about healthcare. The real ripoff in drug use is both at source, manufacturers, and those that sell the drugs. Lets hope the next President take drug pricing as a priority. * Not withstanding massive public health crisis drugs, like HIV, Ebola et al. These serve as exactly as an example of the invention that will still come. I heard the BBC reporting the Governor of the Bank of Englands remarks that the “age of irresponsibility” in the City of London is over as the Bank of England promised a crackdown on rogue traders. In a speech on Wednesday evening, the Bank of England Governor said that banks, regulators and individuals had collectively failed to prevent the market rigging that has led to bank fines worth billions of pounds and he recommended tougher rules for the City and longer jail sentences for those who attempt to manipulate markets. This is a very British approach to a problem, introduce tough penalties, regulations and make things illegal. It made me wonder, how would either the British or the US Governments deal with FIFA, if FIFA was either a UK or US Registered company. The contrast couldn’t be more stark. In the UK they would spend ages trying to bring FIFA to court under numerous, increasing complex and confusing rules. The trial would last years and cost millions, only to collapse at some point for legal reasons. Meanwhile, the US Government, rather than push ahead with an Untouchables Style prosecution, as it seems to be. They would settle for a financial penalty, and we’d have never heard about the FIFA corruption until the settlement was announced. FIFA currently holds a reserve of $1.52bn, so no problem in paying US Governments fines. Ironically, paying fines is of course a form of legal bribery not to participate in the theater of court, the exact opposite of what FIFA stands accused of, taking money to allow countries to participate in bidding and holding the theater of the World Cup. Healthcare – Points mean Prizes! It may surprise you, but prices for medical services can differ depending on where you go. 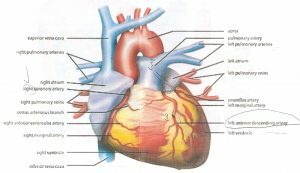 For example, identical cholesterol tests can run between $10 and $270 and an MRI can range from $300 to $3,000. Need a minor outpatient procedure? Searching in Castlight could save you hundreds. With Castlight, you can compare costs for doctors and medical services before you make an appointment. Earn more points! Sign up, perform a search and review your medical plan in Castlight by June 30 for a chance to win 10,000 WOWPoints on e-Deals (valued at $100)*! For rules and more details please visit Castlight Rewards Sweepstakes. Speechless, you can’t make this stuff up. 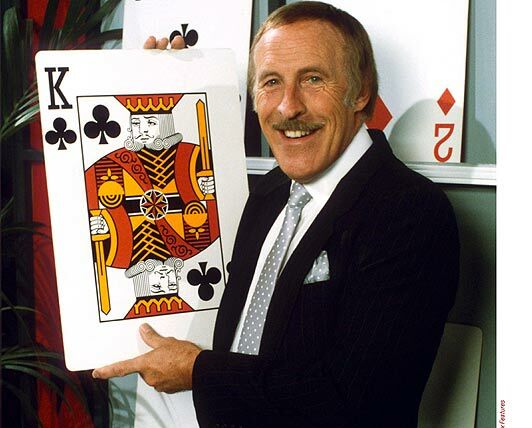 As Bruce Forsyth used to say, Points mean prizes, play your card right! Watch the video, If you are one of my US Friends… It will dispel any notion you have of the British being intelligent and articulate, much like the US Healthcare system it seems. Author Mark CathcartPosted on April 15, 2015 April 15, 2015 Categories healthcareTags healthcare1 Comment on Healthcare – Points mean Prizes! This week Attorney General and Republican gubernatorial candidate Greg Abbott continued to demonstrate that the Texas Miracle is based only on smoke and mirrors. First up, Abbott claimed victory over the evil empire, the Federal Governments’ Environmental Protection Agency. Abbott has time and time again sued the EPA to try to get relief for Texas based businesses, claiming almost everything except the dog ate their homework. The only thing Abbott hasn’t denied is that Texas is the worst state when it comes to air pollution, and given it’s size and position, that pollution is a major contributor to US pollution and to pollution in other states. But, hey, apparently that’s too bad as the regulations would be too costly for Texas businesses to implement. The truth is that Abbott won a battle to save small businesses from implementing these regulations, but lost the war, the coal plants and other major facilities will have to implement them. The EDF has a different perspective but comes to the same conclusion. Meanwhile, Abbott(“What I really do for fun is I go into the office, [and] I sue the Obama administration.”) has been explaining the unexplainable, back-peddling on his order to restrict access to the hazardous Chemicals list. As posted last week “The Texas Freedom Illusion“, Abbott confirmed the ban of releasing information to the public as Tier II reports in the 1986 Emergency Planning and Community Right to Know Act (EPCRA). Well it turns out, he’s explained his position. You, yes, you the people, have not lost your right to know under the EPCRA. If you want to know, apparently all you have to do is visit the plants or write them, and ask. Instead of letting concerned citizens check the state database, where businesses are required to register, the State is pushing handling costs on the business. The Daily KOS has a great piece on this, describing Abbotts remarks as “jaw dropping”. < Zap pow! It can’t be because it’s more secure that way.because it sure isn’t anymore secure. I’m sure the terrorists would never think of that, after all, they didn’t think of taking private flying lessons pre-9/11… when they couldn’t get trained by the Government. Meanwhile, Abbott has also been re-confirming that the Texas Miracle doesn’t come with workers compensation insurance, the only state in America to do so. The Texas Tribune this week published a damning report into the cost and effect of this on workers. For as little as $1.38, businesses could provide workers comp. but like that EPA cost, thats too much of a burden. The downside of this, i workers getting hurt, seriously hurt often have no medical coverage, that means you are and I are picking up the tab. I’ll be protesting in the morning, Taxation with no representation, I can’t even vote for someone else, let alone against him. 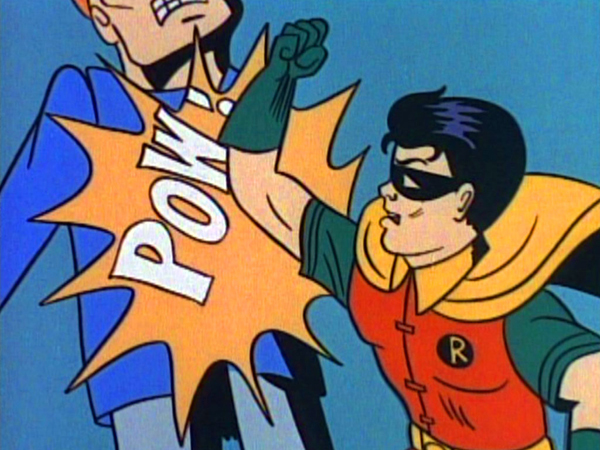 Zap Pow – Robin’ the people to pay for business.